Is Finding a Last-Minute Mom's Day Gift Stressing You Out? ​New York, NY (May 7, 2018) – Yes, Mother’s Day is mere days away, on May 13, but this year, you can relax because the new egifting app, CLINK!Gift, makes it possible to share your love for the Moms in your life at the last moment! Not only can you CLINK! a gift to her instantly, you can easily choose the perfect, often discounted, gift from a locally curated NYC selection. And, CLINK!Gift is the first app to enable #FriendFunding so you can pool resources with others on a gift, making it extra meaningful for the recipient. Here's a sample CLINK! 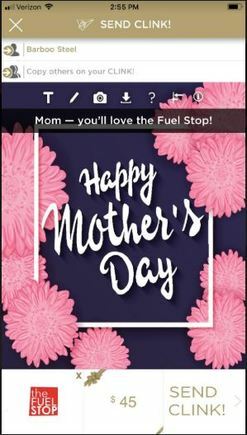 of a Mother's Day gift in the amount of $45 that can be redeemed at The Fuel Stop, NYC or transferred to the recipient's bank account as cash. Treat Mom to the Age-Erase Cryo-Facial, a localized cryo-application that submerges the face or other body part into -250° F with gentle streams of nitrogen air, resulting in a glowing, revitalized appearance ($45). Or how about an energizing B12/D3 IV Drip ($35)? Make it sparkle for Mom with a gift ​​​of Clarissa Maxwell bracelets with symbolic charms at 20% off through the CLINK!Gift app! Customized beaded bracelet from $45. Prices start at just $11.99. Mom will appreciate the gift of anti-aging Laser Therapy (Photofacial, CO2 Fractional, Infrared or Radiofrequency); EuroThreads; Botox, fillers or laser hair removal. The CLINK!Gift app is available on iOS devices and will be available for Android soon. CLINKS! can now be sent to either device. 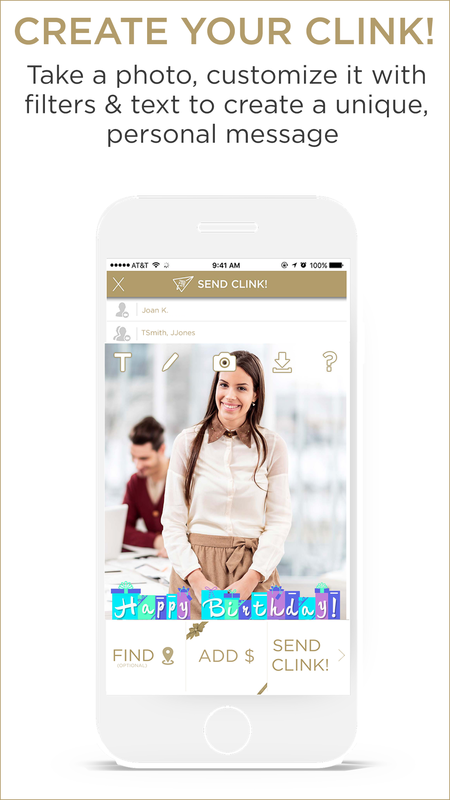 CLINK!Gift is the #egifting & #FriendFunding app that lets you send gifts, cards and pictures with fun filters to friends & colleagues​ "on the CLINK! of the moment." I’ll CLINK! to that! Based in New York City, CLINK!Gift was created by digital leader and aerospace engineer Barbara Steel, who spearheaded digital-interactive platforms for Pepsi, Publicis, WPP and Omnicom. CLINK!Gift is the user-friendly social #egifting and #FriendFunding app that lets you instantly send gifts, cards and pictures with fun filters to acknowledge family, friends & colleagues​ at special moments or just to show them that you care. It’s the first to allow you to pool resources with others by #FriendFunding a gift. 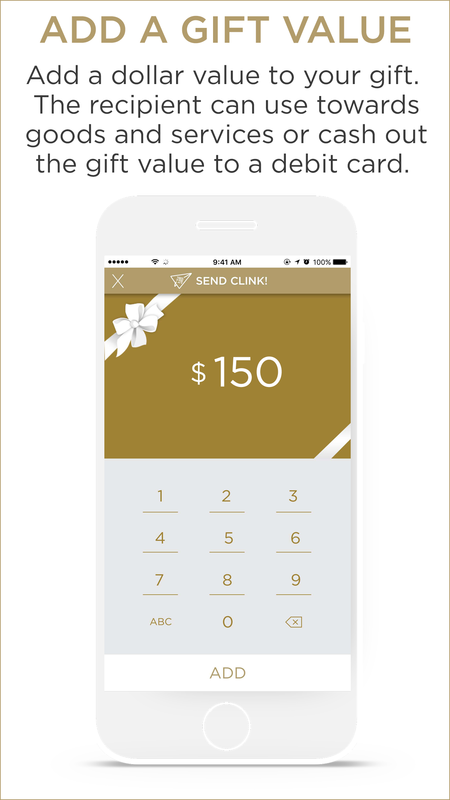 Now available for iOS devices, CLINK!Gift will soon be available for Android. CLINKS! can now be sent to any device. 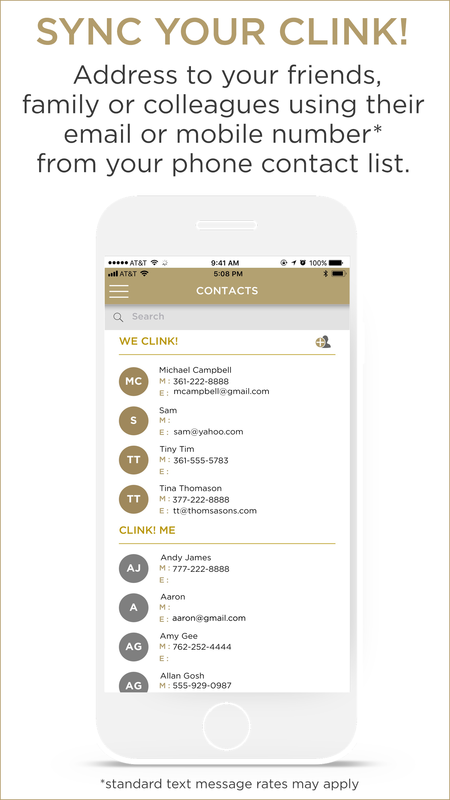 For more information, visit www.clinkgift.com.